I could probably not tell you what possessed me to buy a small bag of this tea, but buy it I did! As a lapsang souchong, which is a smoked tea, it does have a very obvious and very smokey aroma to it. The first thing I noticed about this tea was the smell. The leaves are well twisted, there’s a very familiar camp fire feel to this tea because of the smokey aroma. 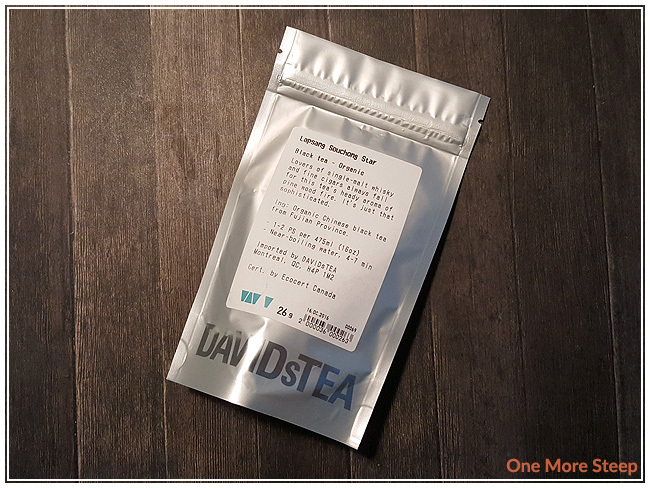 DavidsTea lists the ingredients as being “organic Chinese black tea from Fujian province”, which is where the lapsang souchong tea originates from. The recommendation for Lapsang Souchong Star is to be steeped in near-boiling(194-203°F / 90-95°C) water for 4 to 7 minutes. 7 minutes seems terribly long for a first steeped (and so did 4 minutes), so I steeped for about 3 minutes. After the initial three minute step, Lapsang Souchong Star steeps to a deep orange colour. The tea itself has a strong smokey aroma. 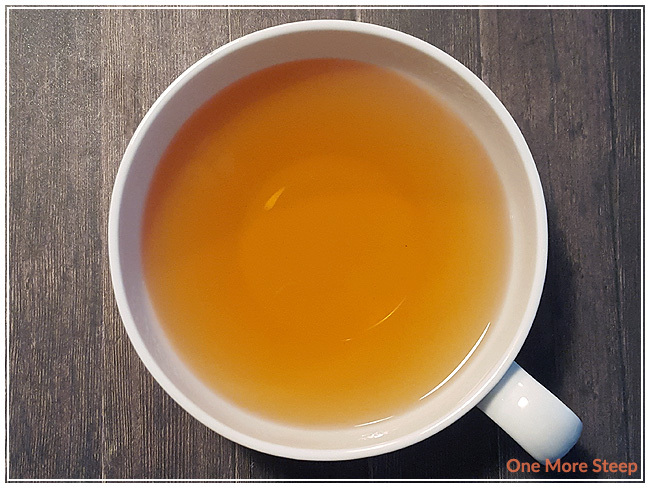 When I first took a sip of it, I was first very overwhelmed by the bold smokey taste that the tea has, but as I begun to get used to it, it was quite pleasant! The taste of the tea had this lovely maltiness to it, as it isn’t at all sweet. 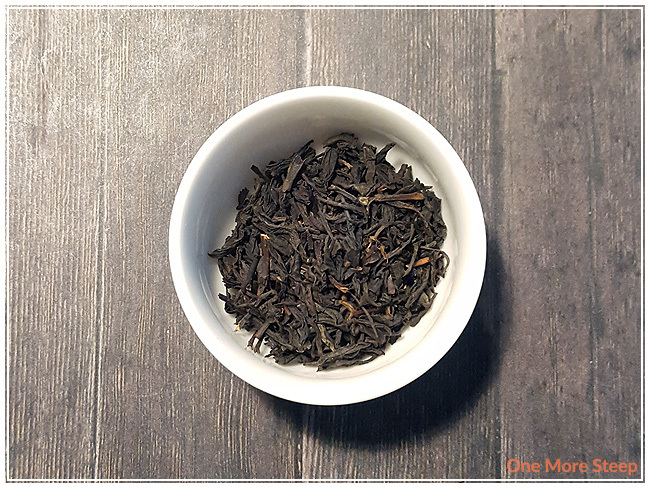 The tea itself has a bold flavour, it’s savoury and is a bit of a ‘meaty’ tea in that it doesn’t resemble the teas I normally drink (sweet, floral, fruity, natural honeyed flavours). 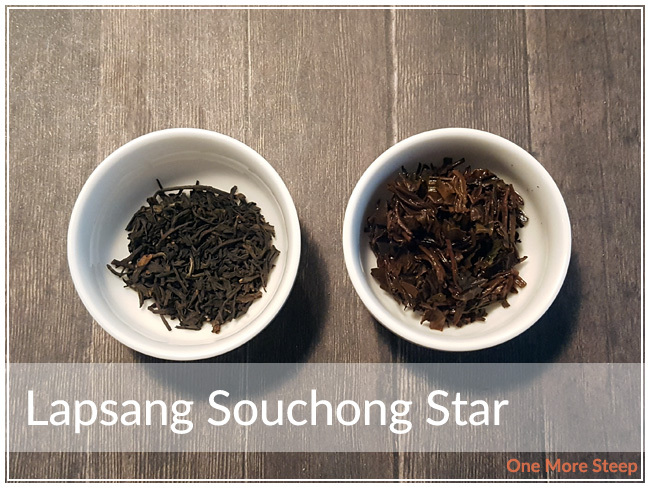 Lapsang Souchong Star doesn’t nearly has much of a smokey taste as it does in smell. I resteeped Lapsang Souchong Star once (for 4 minutes) and it tasted about the same as the first steep. It could probably go for a third steep, but I did not attempt that. I thought that DavidsTea’s Lapsang Souchong Star was just okay. It’s not a terrible cup of tea, in that it tastes as advertised – having a campfire aroma, there’s a maltiness to the tea that is strong. It just isn’t the cup of tea for me as it isn’t the type of tea that I normally gravitate towards, and there’s a reason for that. For those who don’t like the naturally sweet, floral, and fruity teas, this may be one to try! I also found a bunch of recipes online for using this tea in cooking to infuse some of that smokey flavour into food, so that may be an option for me to use the rest of this tea in the future.